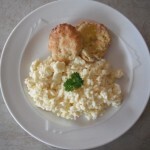 We particularly pride ourselves in the breakfast we offer. 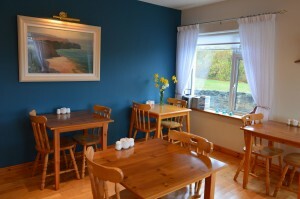 We offer a breakfast menu to cater for all tastes complemented with Eithna’s homebaking and homemade preserves. Eithna makes a variety of jams including marmalade, Rurbarb and fig, Strawberry & blackberry, and Blackcurrant to name but a few. All jams are made from locally sourced fruits some of which we grow in our own garden. 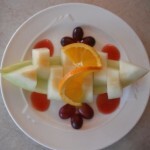 We also offer a special dish which is varied each morning. 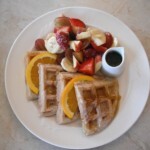 Homemade Waffles with fresh fruit and maple syrup.